According to the report by Research and Market, the global lottery market is expected to rise at a compounded annual growth rate (CAGR) of 9.44% between 2017 to 2021. However, the lottery industry still deals with many hindrances, such as lack of transparency, slow processing, jackpot fatigue, security threats, high commission charges etc. These pitfalls impact the efficiency of the entire system and keep people away from its precarious environment. Donocle is a decentralized platform that removes these critical issues by leveraging blockchain technology. The platform also employs Open Data Flow technology that enables players to monitor their earnings and track the flow of payment. 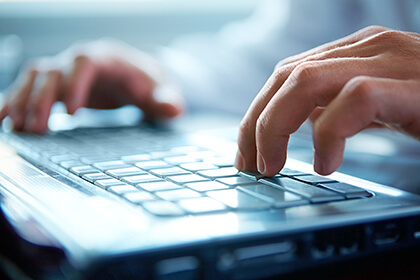 This openness allows users to check the validity of the process and eliminate the fear of cyber exploitation. Donocle comes from the words ‘Donate’ and ‘Circle.’ Players upon winning lotteries have to contribute a certain percentage of their earnings to the Donocle Foundation. Additionally, other centralized lottery platforms charge high commission rates that keep players, especially new ones away from trying their luck on these platforms. Donocle, on the other hand, charges lower commission charges and encourages more people to participate and earn reliable rewards in return. Purchasing tokens in this ecosystem is quite easy and straightforward. Individuals have to sign in, create a wallet, and shortly, they can purchase trading coins on the network. As soon as the coins are purchased, the number is immediately displayed on the respective player’s dashboard. The Donocle tickets are priced the same way as the BTC is fixed on the cryptocurrency exchange. The price of 1 token is secured at 0.0001BTC. In the same way, the price of a Donocle ticket is secured at the same unit on the LTC, XRP, ETH, MIB, and DON exchanges. After the users have purchased lottery tickets, the platform distributes 70% of the proceeds to the winners depending on their composition share. The winners can either retain their acquired cryptocurrencies as prize money or exchange it for cash in the market, depending on their needs. 3% of the sales proceed is used for donation and the remaining is contributed towards operational purposes and Proof-of-Stake system. Additionally, the platform offers its users the Donocle Airdrop feature that enables them to earn stable profits. By depositing their Donocle tokens in the Proof-of-Stake (POS) system, users can avail opportunities to earn regular incentives. When users pay crypto coins, tokens, MIB coins or Donocle tokens to buy tickets, the platform gathers funds at the end of each session. 10% of the collected cryptocurrency amount is reserved for Donocle Airdrop. Therefore, when users retain the Donocle token in the POS system, they obtain incentives in return from the reserved 10% depending on the POS share. Donocle system is reinforced by three fundamental technologies. The Donation Global Blockchain Lottery System, which incorporates blockchain with the Global Lottery System, a system that is used by many sports operators. The SmartX Blockchain Platform which is easy, lightweight, and inexpensive as it adopts the Blockchain Hash Algorithm. Lastly, the Blockchain Donation Direct Transfer System that transfers the money transparently and quickly. 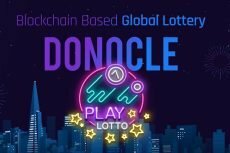 Donocle is a revolutionizing blockchain based lottery system that allows users from across the globe to participate in raffle activities and earn stable profits in return. 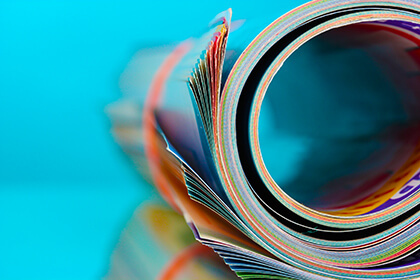 The entire process is transparent, flexible, and secure, and offers an effective solution to the critical challenges of conventional lottery system.